If you’re considering an electric vehicle, it appears that you couldn’t pick a better time than now to buy one. According to an Automotive News report, General Motors is beefing up the incentives on the Chevrolet Volt to help jolt sales of the electric-hybrid in order to compete with the deals being offered on the Nissan Leaf and Fiat 500e electric vehicle. From June 3 through July 1, GM is reportedly offering cash rebates of $4,000 on the 2013 Volt and $5,000 on the 2012 model. That’s in addition to a $7,500 federal tax credit and $1,500 state tax credit for buyers in California. Leasing a Volt will cost you $2,399 down and $269 per month for 36 months. 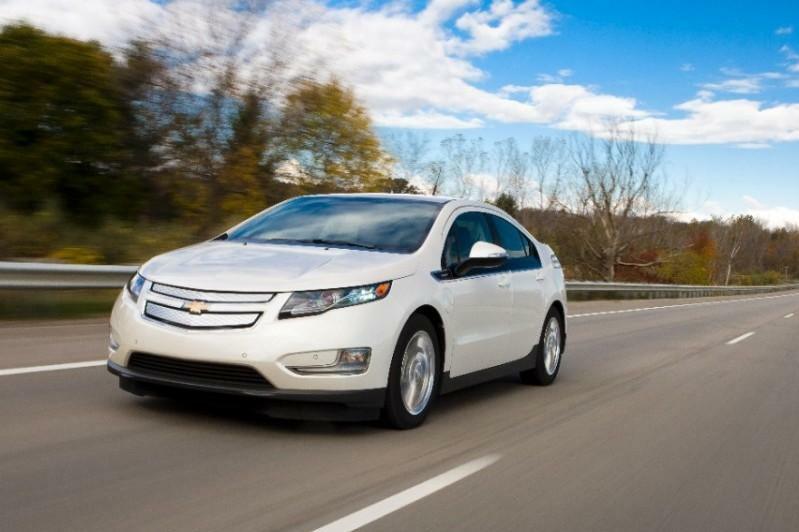 Automotive News reports that U.S. sales of the Volt dropped 4 percent to 1,607 units in May, leaving Chevy with a few more 2013 models on hand than anticipated. The industry news source reports that the average transaction price for the Volt was $40,236 in May, according to Edmunds.com. In comparison, the average transaction price for the Nissan Leaf was $31,947 in May. In fact, after Nissan cut the base price of the Leaf by $6,400 back in February, the EV’s US sales have nearly tripled to 7,614 units this year through May, according to Automotive News. Currently, the base price of a 2013 Nissan Leaf is $29,650, which includes shipping. Looking for something a little more compact? Well, incentives on the Fiat electric 500e include the same monthly lease payment as the base 500 vehicles with gasoline engines, reports Automotive News. The industry news source is reporting that a $32,500 500e, which is only available in California, can be leased for $199 per month and $999 down for three years. According to a Fiat spokesman, with federal, state and Fiat incentives, the price of the 500e drops to $20,500. Still, the biggest break for consumers might be that automakers are starting to realize even more that electric vehicles are still too expensive. If so, it could help drive companies to find more innovative ways to reduce the cost of EVs early on before it gets to the point where they have to offer cash rebates.